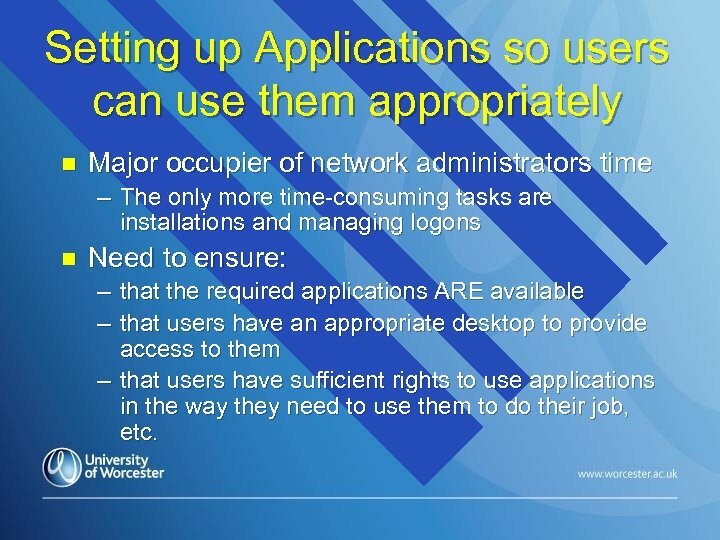 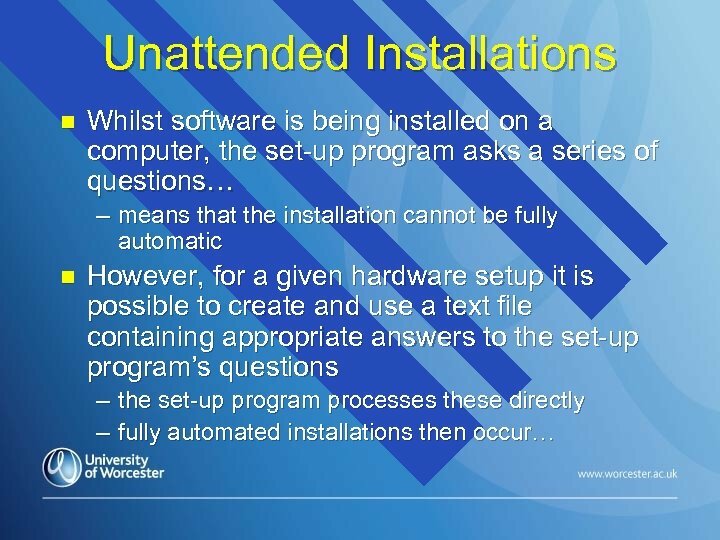 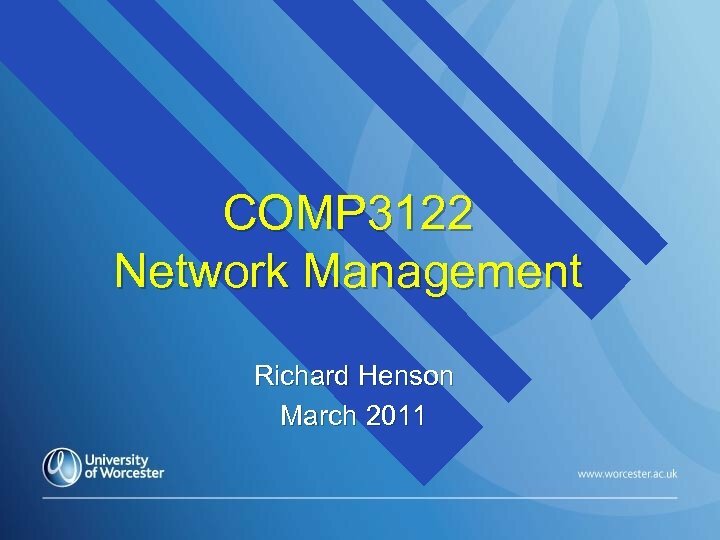 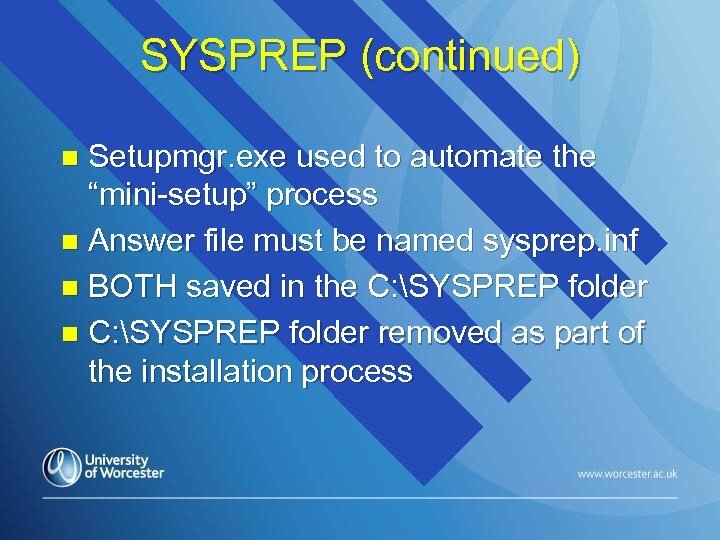 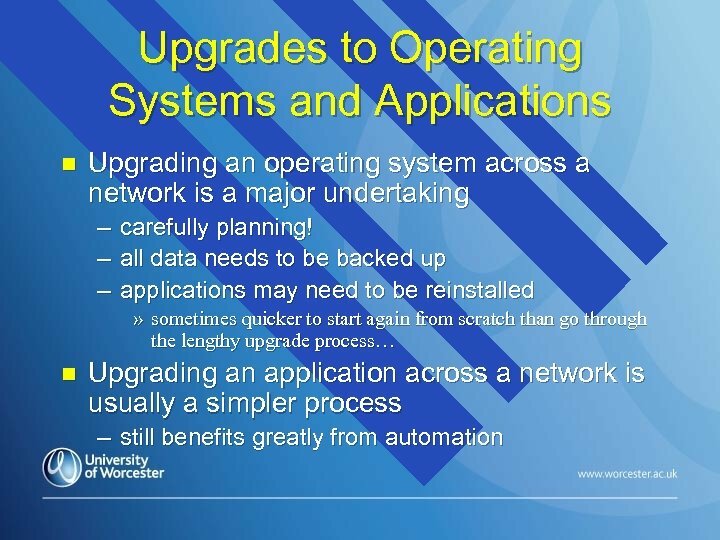 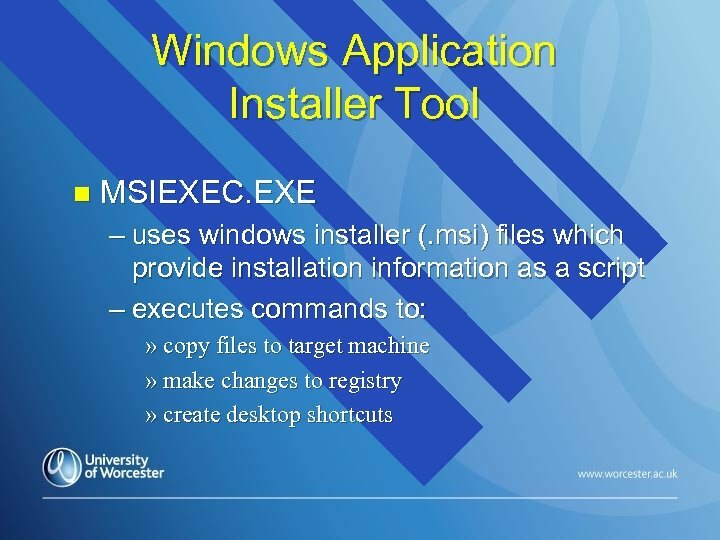 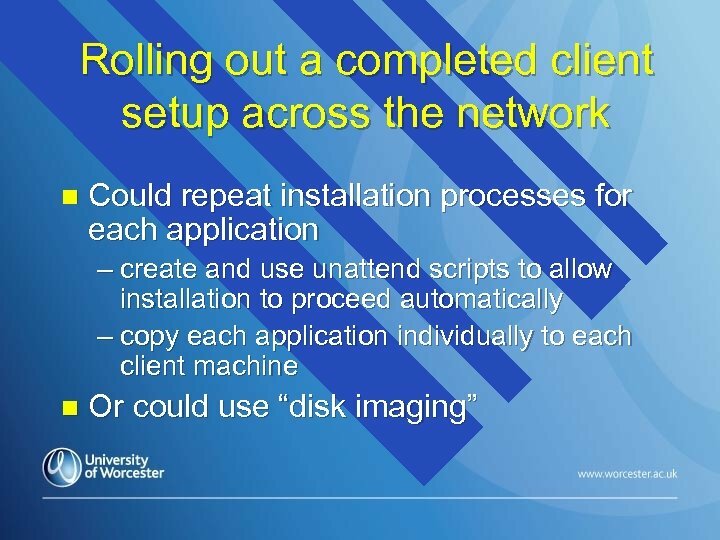 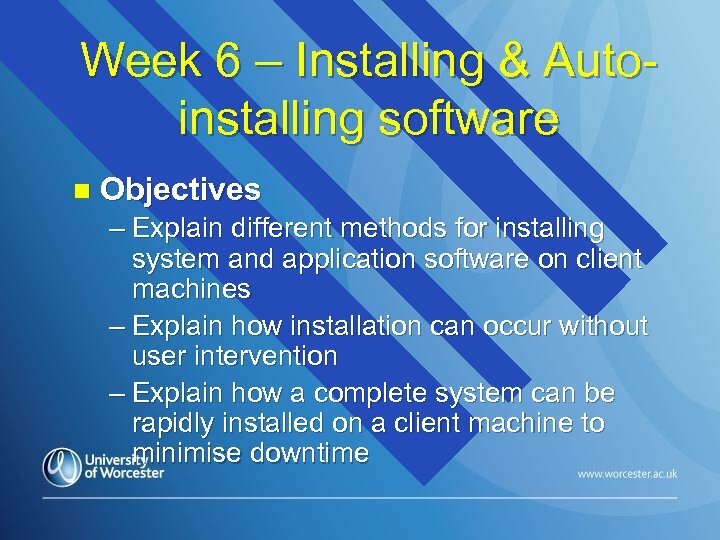 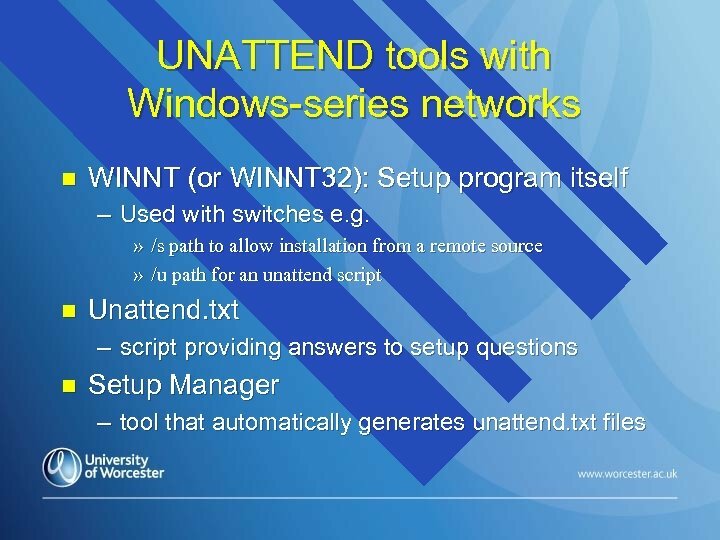 Setting up Applications so users can use them appropriately n Major occupier of network administrators time – The only more time-consuming tasks are installations and managing logons n Need to ensure: – that the required applications ARE available – that users have an appropriate desktop to provide access to them – that users have sufficient rights to use applications in the way they need to use them to do their job, etc. 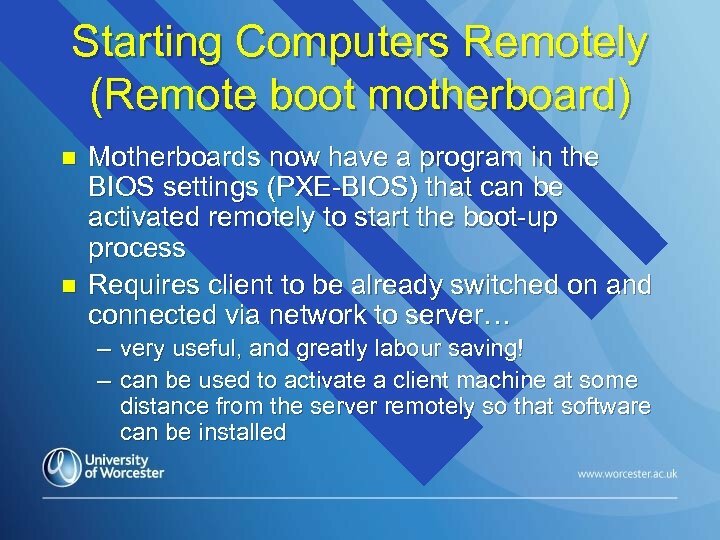 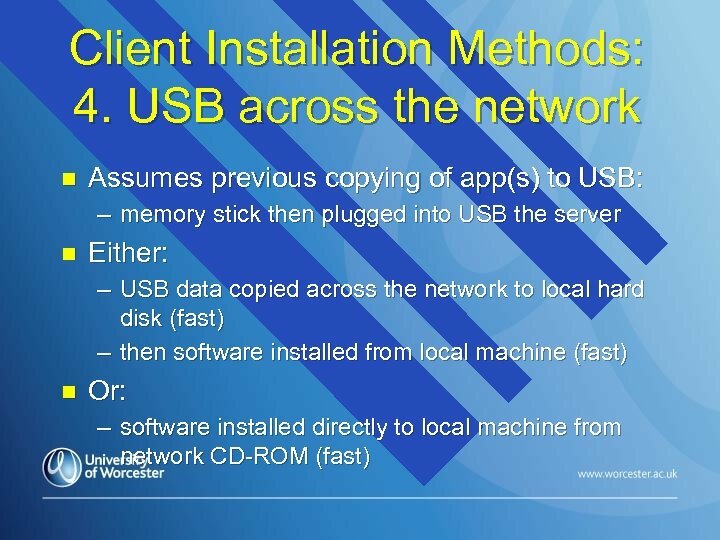 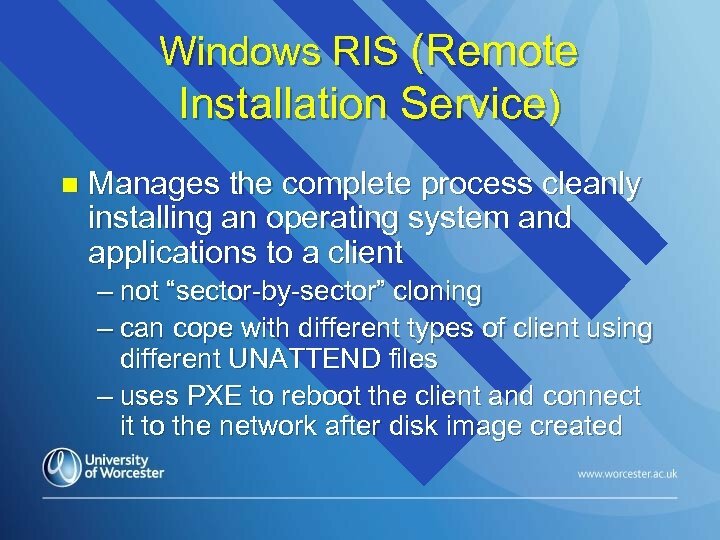 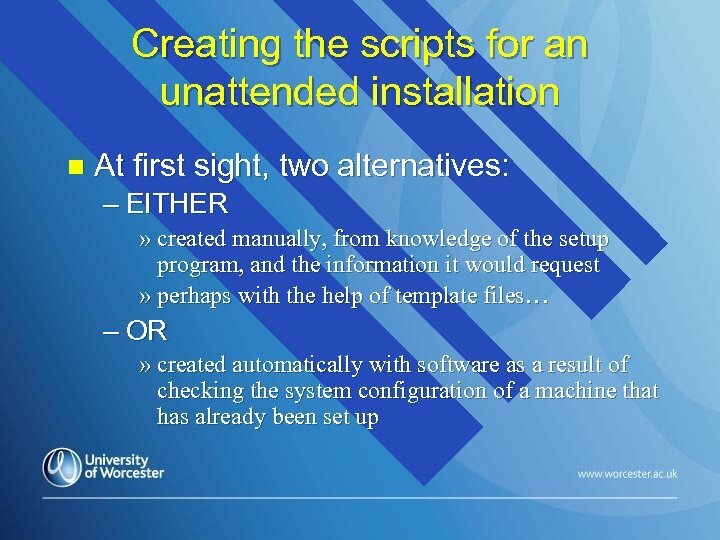 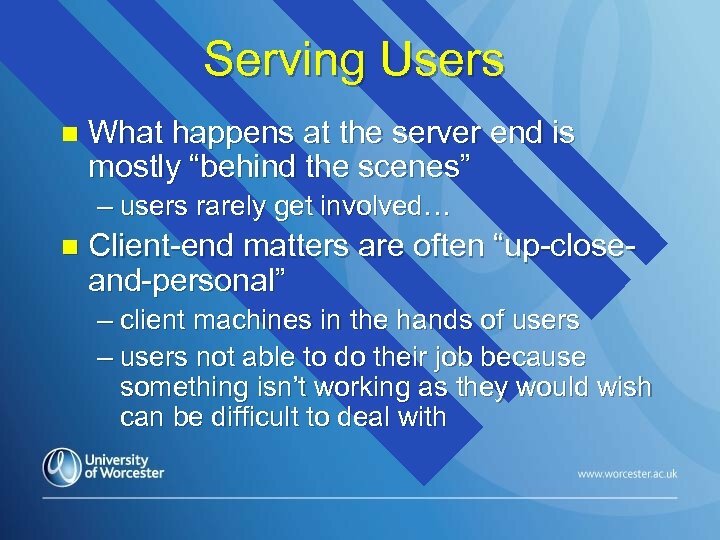 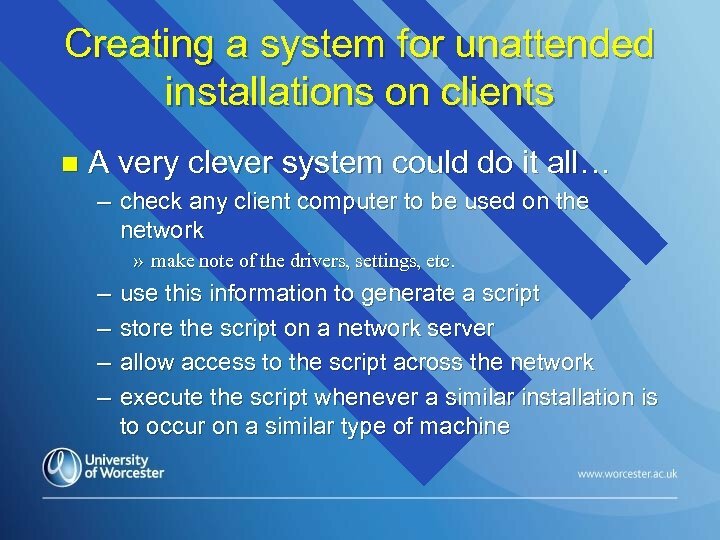 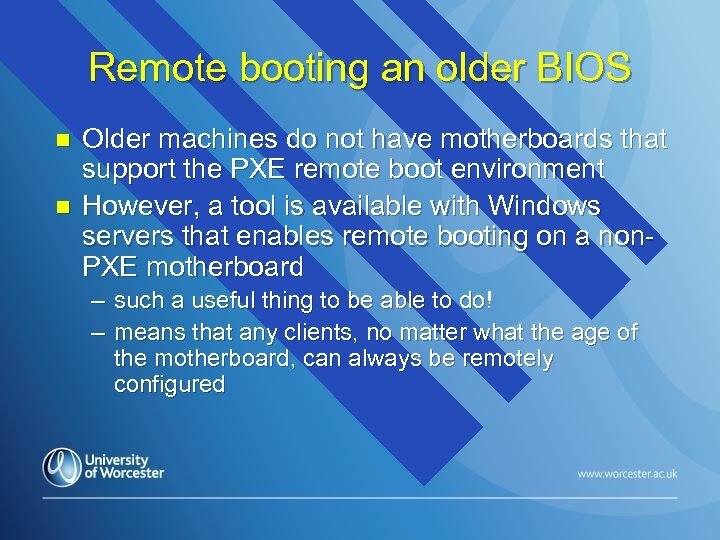 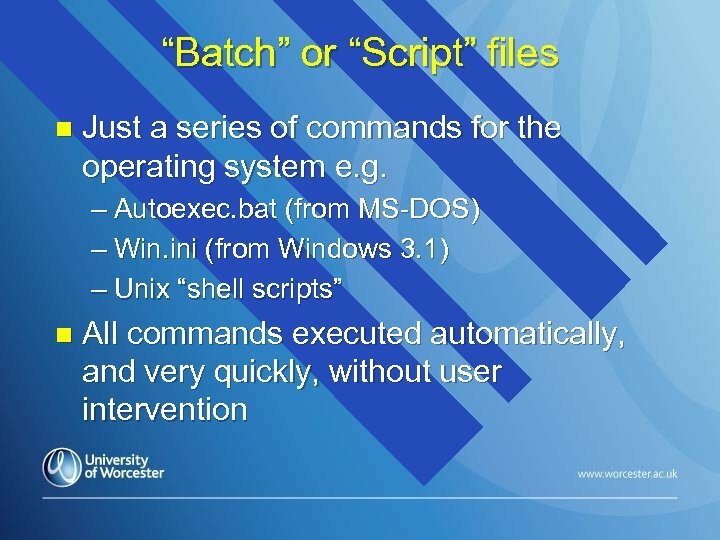 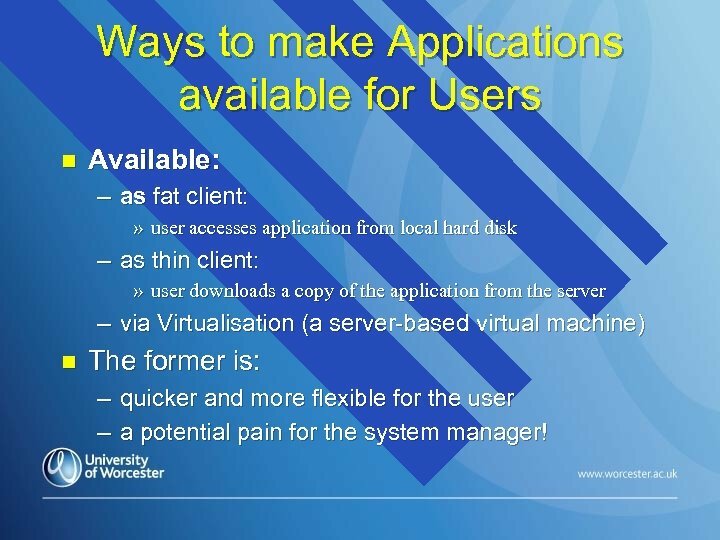 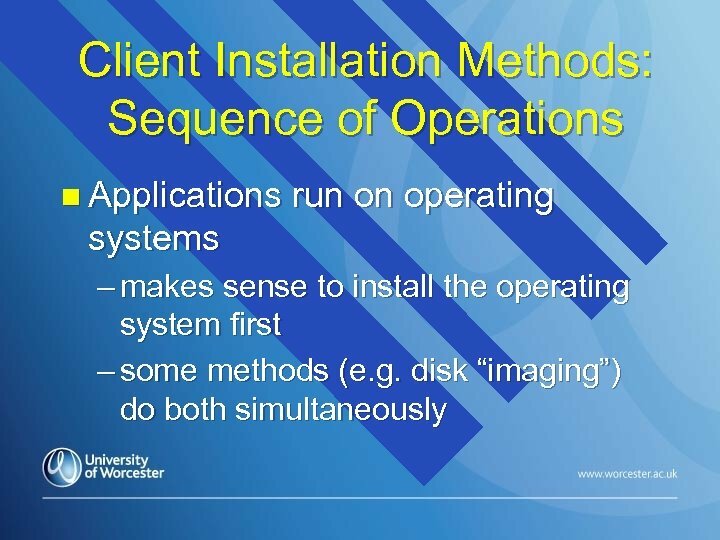 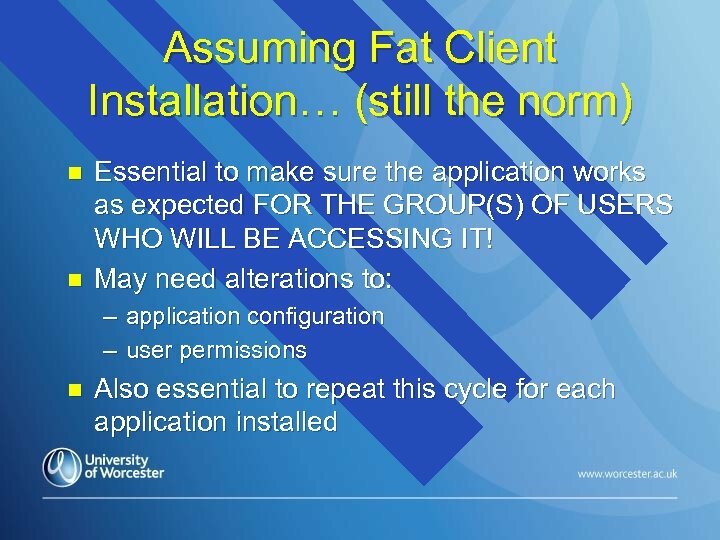 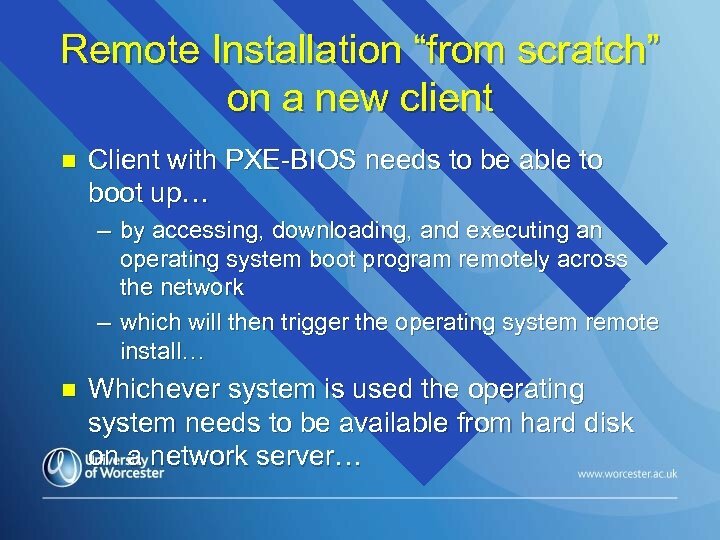 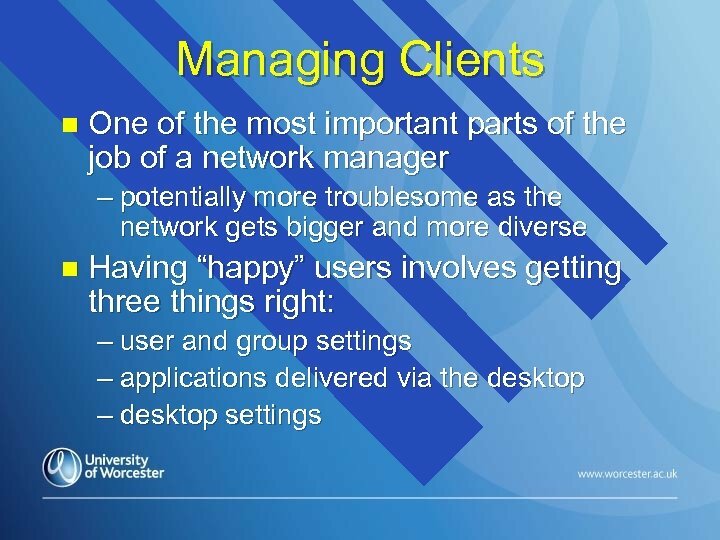 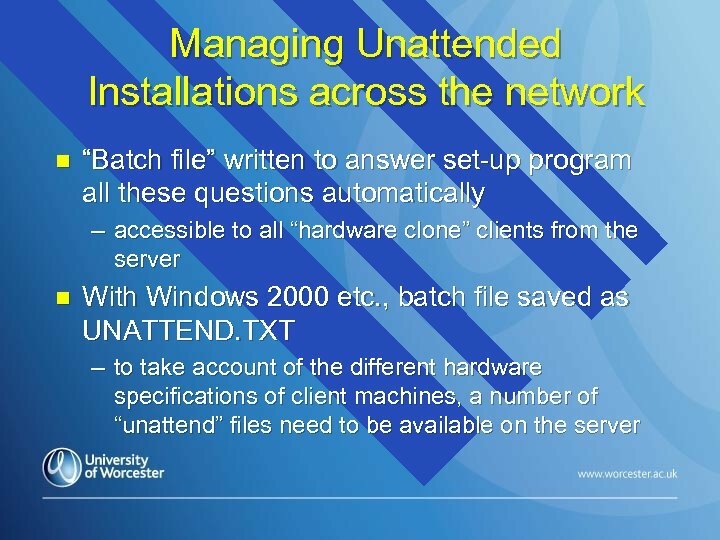 Ways to make Applications available for Users n Available: – as fat client: » user accesses application from local hard disk – as thin client: » user downloads a copy of the application from the server – via Virtualisation (a server-based virtual machine) n The former is: – quicker and more flexible for the user – a potential pain for the system manager! 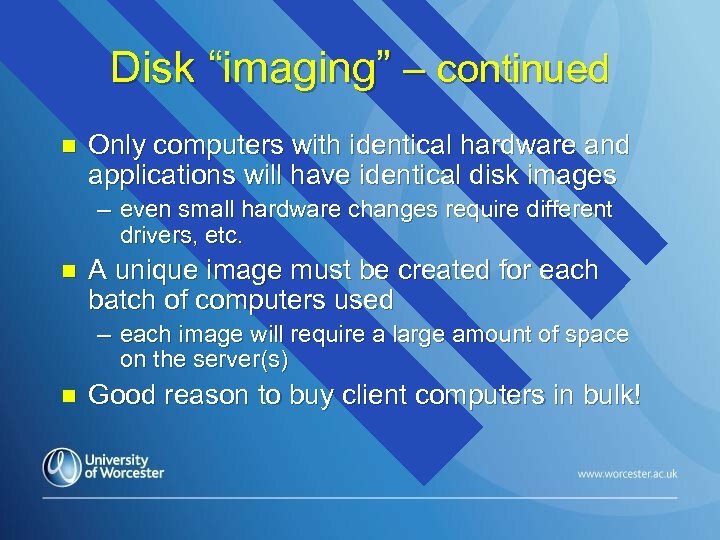 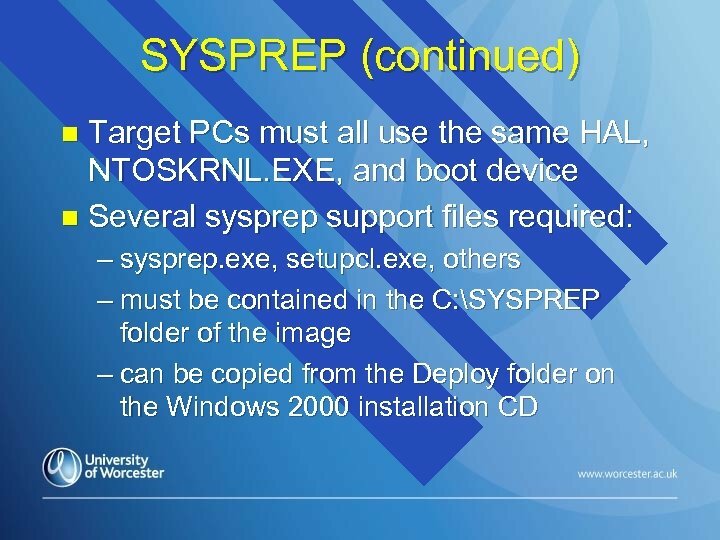 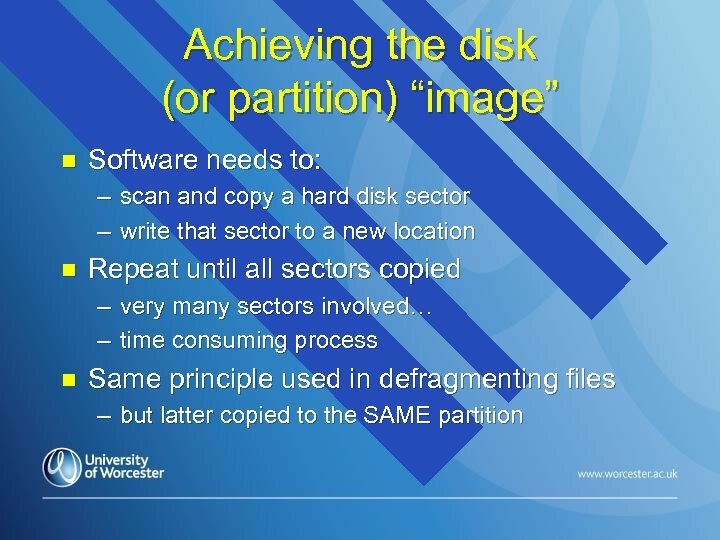 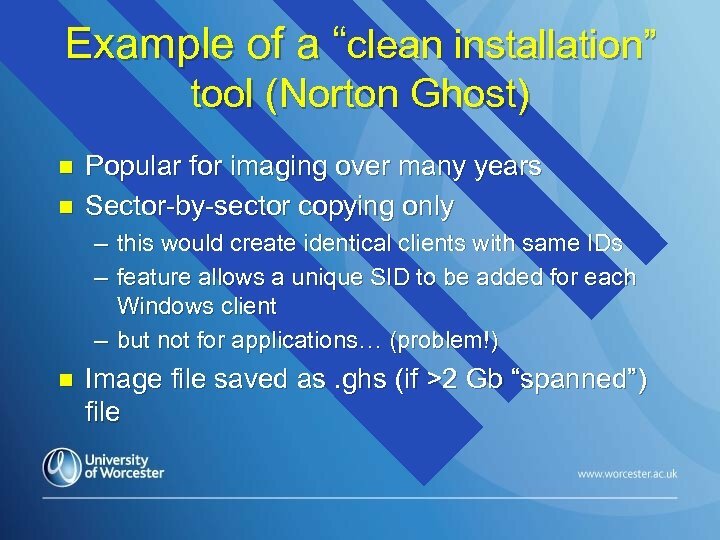 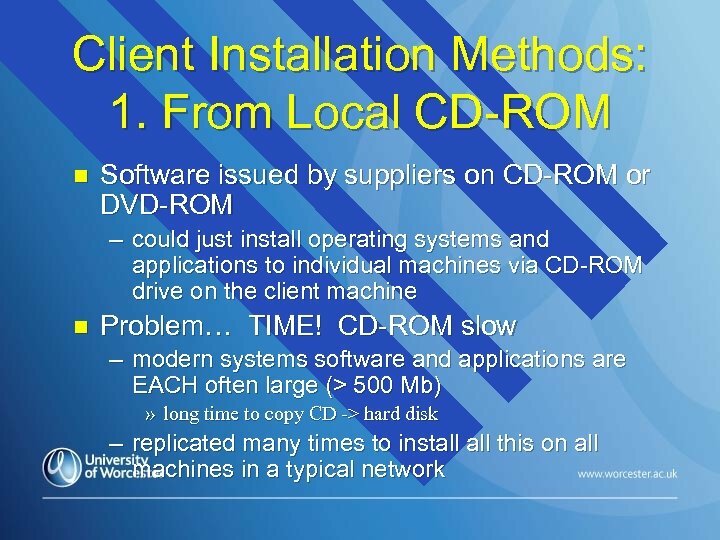 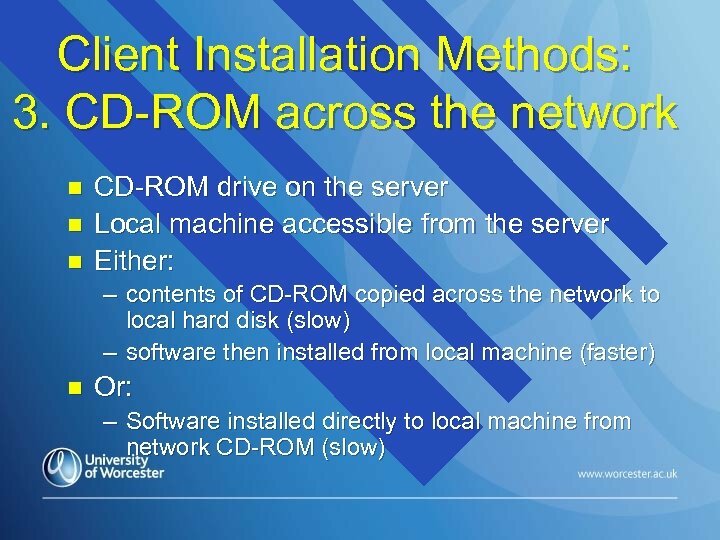 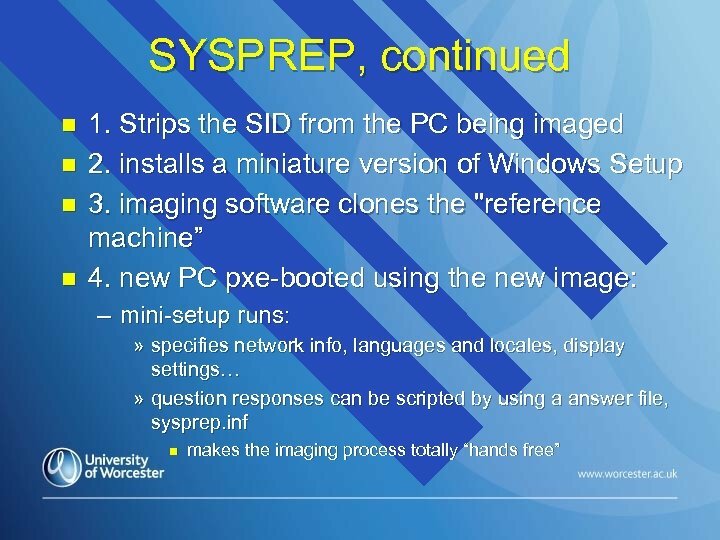 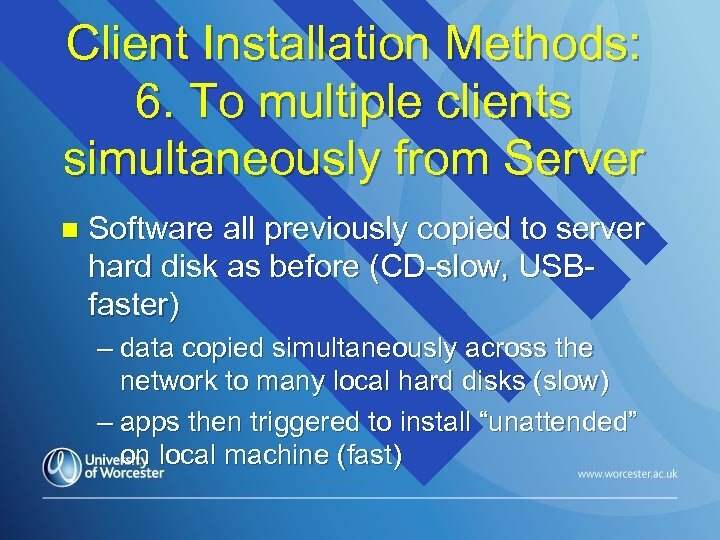 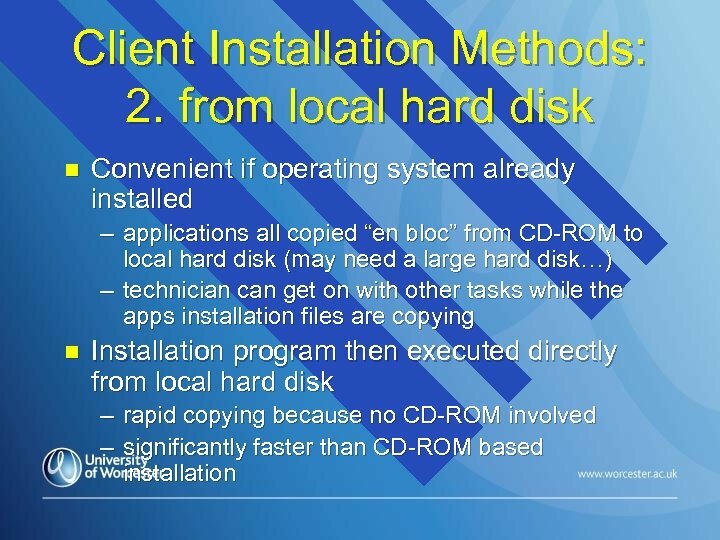 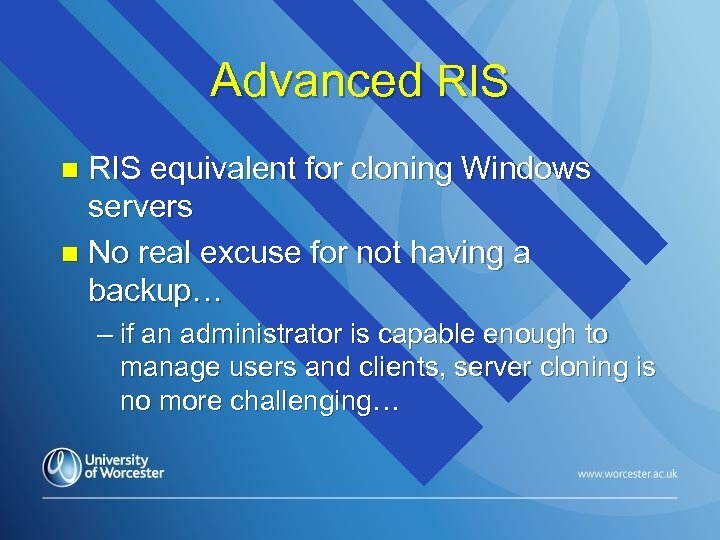 Disk “imaging” – continued n Only computers with identical hardware and applications will have identical disk images – even small hardware changes require different drivers, etc. n A unique image must be created for each batch of computers used – each image will require a large amount of space on the server(s) n Good reason to buy client computers in bulk!